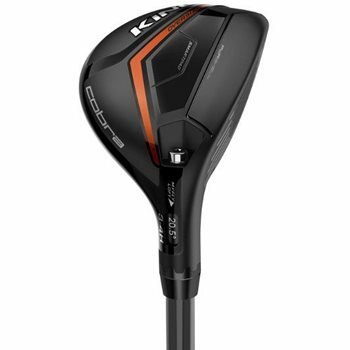 The Cobra King OS hybrid is Cobra’s first hybrid with PWRSHELL technology to deliver the largest Sweet Zone ever with higher ball speeds and explosive distances. The TeXtreme carbon fiber crown’s extreme weight savings allows for easy-up launch and maximum forgiveness while the oversized profile provides increased ball speeds on off-center hits for more distance and forgiveness. The King OS features high density tungsten weight that positions the GC lower and deeper for higher, towering trajectories with decreased spin for maximum carry distance and MyFly 8 with SmartPad that helps you to manage trajectory and fine tune launch conditions to maximize distance and keep the face square.